This time we have some decent shots of what will be Mercedes’ most potent performance vehicle to date. 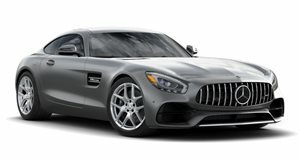 The SLS AMG and AMG Black Series sit at the top of MB&apos;s performance lineup, and when these two finally get it on, prepare for a lovechild of epic capabilities. Following several rounds of spy shots showing the upcoming flagship performance Benz, these latest shots reveal the SLS AMG Black Series with an undisguised front end. The nose appears to have grown some extra aero components, with a fat fixed rear wing at the back and a widebody stance in between. Of course as with any high-performance vehicle, its what&apos;s underneath the bodywork that counts most. In this case, the 6.3-liter V8 in the SLS AMG is expected to be boosted from 563 horsepower to around 600. With more power and less weight, the ultimate performance Benz is expected to drop its 0-60 time from 3.8 seconds to 3.5, and raise its Autobahn-crunching top speed from 197 to 208 mph. The upgraded Gullwing could lead to a Roadster version down the line, but for now expect the coupe to launch at around 260,000 Euros towards the start of 2013.